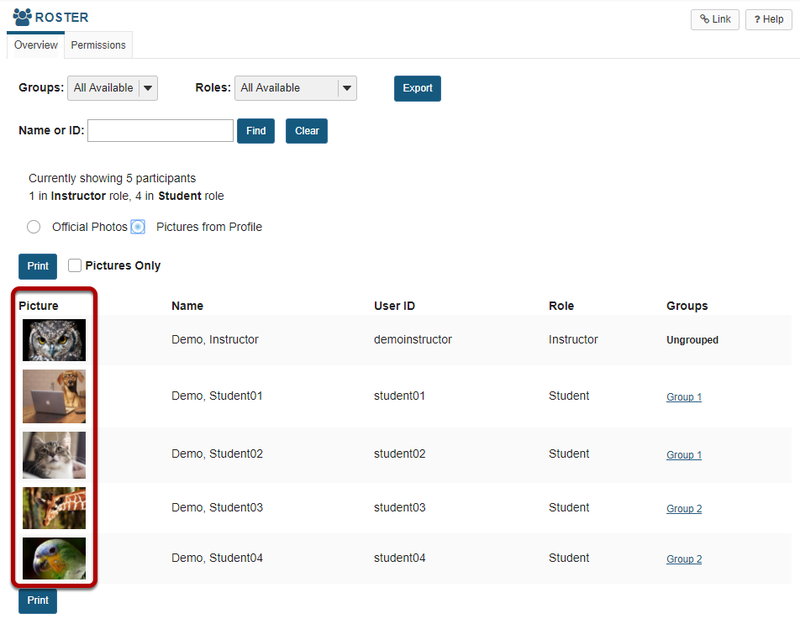 Sakai Community DocumentationSakai 19 User Guide (English) RosterHow do I view roster photos and/or profiles? Profile photo thumbnails for site participants will be displayed. Zoom: Profile photo thumbnails for site participants will be displayed. Viewing Official or Profile photos. Select the radio button for Official Photos or Pictures from Profile depending on whether you would like to view the official institutional ID photo (typically provided automatically during user account creation) or personal photos that users have uploaded themselves via the Profile tool. To view more information about a user, click on their picture. Additional information will display, including links to the user's Profile, Email, Facebook, and Twitter, as well as the option to Connect. 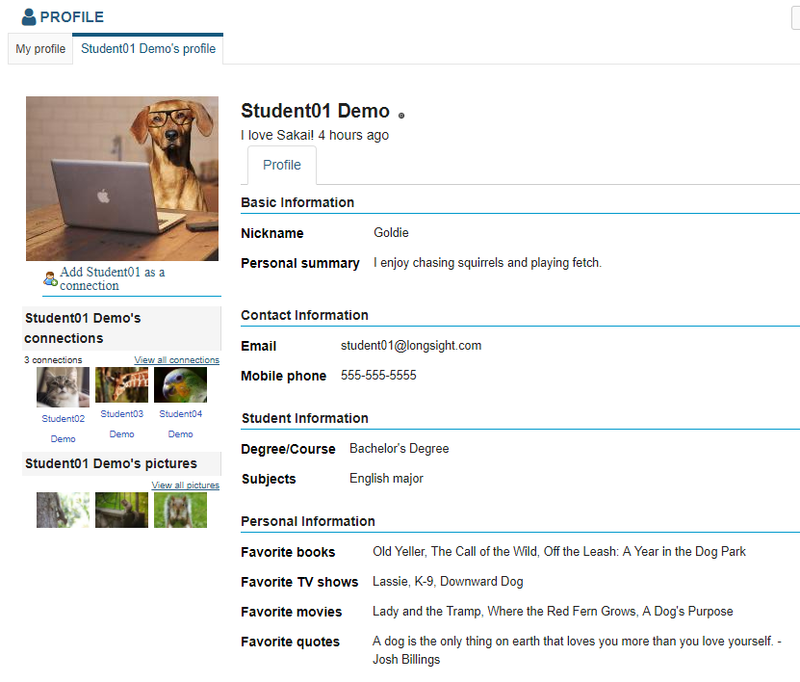 Note: Links that are grayed out or inactive indicate that the user has not provided that information in their profile. To view the full user profile, click on the Profile link. Profile information that is available and that you have permission to view will be displayed. Prev: How do I export the roster? Next: How do I edit Roster tool permissions?